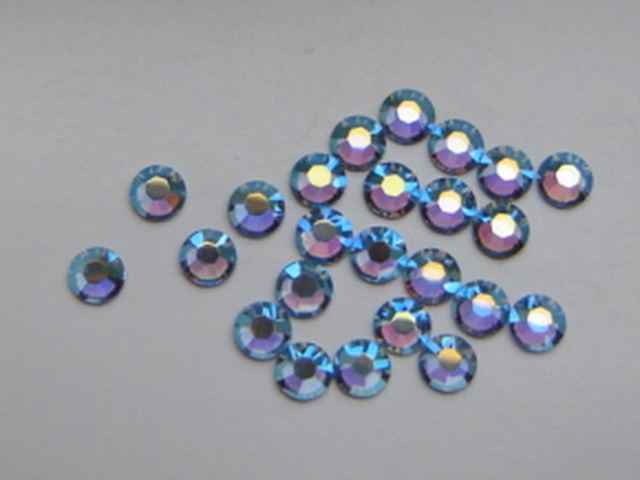 144 Pieces (1 gross) Genuine 12ss (3.0 mm) LIGHT SAPPHIRE AB Swarovski Crystals Flat Back 2058/88 Rhinestones. I love your QUALITY crystals! There are a lot of poor qualit ..